The Bulletin of Atomic Scientists has again highlighted that the nuclear order is under attack and nuclear risks are increasing: it depicts this changed strategic environment as the “New Abnormal”. As far as it goes the analysis is sound; but it is Atlantic-centric and the recommendations for action are short on imagination and detail. 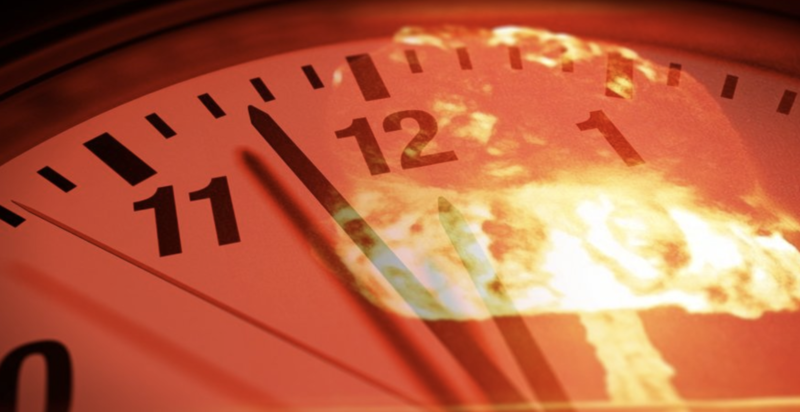 Last week the Bulletin of Atomic Scientists’ (BAS) Science and Security Board’s annual review of global existential threats left the Doomsday Clock for a second year at two minutes before the apocalypse of midnight. This is the highest level of concern since the testing of hydrogen bombs by the USA and the Soviet Union in 1953. It is a fair conclusion following a woeful year for advocates of nuclear sanity and restraint. The report calls for pressure on world leaders to turn back the clock but offers little insight on how this might be achieved. Let’s start with the one potential positive. 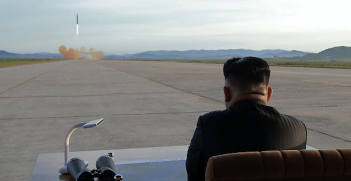 BAS lauds President Trump’s theatricals in Singapore with Chairman Kim Jong Un and his persistence in follow up – successful or otherwise – which has certainly led to a dramatic change in the tone of exchanges between the US and North Korea. Perhaps unsurprisingly, this Atlantic-centric review makes no mention of the parallel but very significant movement in relations between North and South Korea that this détente has allowed, championed by South Korea’s President Moon Jae-in. All three parties have moved back significantly from the brink; and arguably the time is right for radical reshaping of the North East Asia security matrix. Otherwise, the outlook is bleak. First, the global strategic environment has deteriorated. Tensions between the major powers have risen, exacerbated by the growing role of cyber and information warfare – and the review could have added space war. All nuclear powers seem bent on modernising their nuclear forces, and according to BAS several are still expanding their arsenals (India and Pakistan are named – China, DPRK and Israel are not, but the basis for this is not explained). Symptomatic of the malaise is the shredding of nuclear arms control arrangements, for which both Russia and the US share most blame. But so do other major powers and allies who have done little to call this out. Bilateral mechanisms can be very useful for containing nuclear threats, but they should no longer be the sole preserve of the two nuclear superpowers. 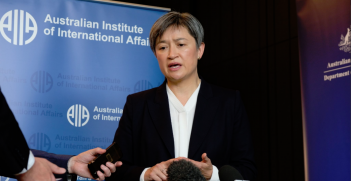 China for example has major stakes in the evolution of controls and should urgently become engaged as has been argued by one leading Chinese commentator. It is high time that other countries, including Australia, pressure all nuclear armed states as well as their allies to take responsibility for the looming crises. Rightly, BAS is critical of the US administration’s abandoning the Iran nuclear deal which dramatically reduces Iran’s nuclear capabilities under unprecedented levels of international supervision. What BAS does not mention is that the other parties to the deal – including Russia, China and the major European powers, along vitally with Iran itself – continue to observe the deal. Still, there is no question the deal is at risk. Curiously, the review does not mention the Nuclear Non-Proliferation Treaty (NPT) which will mark its 50th anniversary next year. Despite its undoubted shortcomings, the NPT remains a powerful tool for nuclear restraint binding 186 members never to acquire nuclear weapons. Only one country, North Korea, has completely reneged on its commitments. Several others were tempted to stray – Iraq, Syria, Libya – but were called to account. The verification regime, administered by the Nobel prize winning International Atomic Energy Agency, has evolved to meet all challenges to date and deserves the strongest support of the international community including advocacy groups such as the BAS. The failure of the NPT lies in the failure of the five nuclear weapon states (NWS) recognised in that treaty to live up to their commitment to “… negotiations in good faith on effective measures relating to cessation of the nuclear arms race at an early date and to nuclear disarmament …” The last major assertion of intent to curb nuclear risks was President Obama’s Nobel Peace Prize winning Prague speech in 2009 and the signing the following year of New START. Ten years on, the situation has only gone backwards. The NPT has a five-year review cycle, with the next Review Conference in May 2020 at the United Nations in New York. Preparations are already well under way with the third of three preparatory meetings to be held this coming April, also in New York. This week in Beijing, senior officials of the five NPT nuclear weapon states are meeting to review and perhaps coordinate their approaches to the NPT review process. Normally such consultations aim at conveying a positive message to other NPT members about the P-5’s nuclear disarmament efforts. There is no expectation that this week’s consultations will produce any such glimmer of hope. Also missing in the BAS review was reference to The Treaty on the Prohibition of Nuclear Weapons – commonly referred to as the Nuclear Ban Treaty – which its supporters tout as the first legally binding international agreement to comprehensively prohibit nuclear weapons. Sixteen months after being open for signature, it has secured only 19 ratifications out of the 50 needed to bring it into force. By comparison, the Arms Trade Treaty secured its required number of ratifications, also 50, in that same time frame. After all the enthusiasm surrounding the adoption of the Nuclear Ban Treaty, the reality sadly is that it will not change anything and could be a distraction from the real work of arms control and disarmament. While greatly respecting the contribution of the BAS, going back to the very scientists that released the atomic genii, the current dire straits require new approaches not to be found in this review. The BAS agenda calls for US and Russia to return to the negotiating table to rescue the Intermediate-range Nuclear Forces Treaty (INF), lower alert levels, limit modernisation, and eliminate battle field nuclear weapons. All hugely desirable objectives but they have been long on the agenda with no hint now as to how we will get there. It also calls for restraint on exercises on the borders of NATO: but NATO expansion operates in the opposite direction. And in the Asia Pacific, what of the nuclear-fuelled standoffs in the South China Sea, on the Doklam Plateau and the Punjab plains? We need new thinking and greater commitment from a range of governments to accept responsibility to drive change. The Atlantic theatre has long dominated the nuclear scene: but the epicentre of nuclear threats is now arguably in the India Pacific. It is no longer acceptable to simply blame the big players. Yes, they can deliver big results if they so decide. But if they don’t, others need to act. Let’s hear the voices of China and India, or even the UK and France, speak frankly as allies to the providers of our nuclear umbrellas. It remains hugely important to reimagine the INF and to extend New START. But we also need a much more wide-reaching effort to find within the global chain of nuclear threats, points where progress might be made to reduce tensions, alert levels and ultimately arsenals. East Asia and even South Asia might provide such small steps and demonstrate the possibility of reversing the drift into nuclear anarchy. The BAS does us a service to highlight the dangers: the challenge remains of finding a way forward. John Tilemann is the director of research for the Asia-Pacific Leadership Network on Nuclear Non-Proliferation and Disarmament. He is a former career diplomat and was chief of staff to IAEA directors-general Hans Blix and Mohamed ElBaradei. 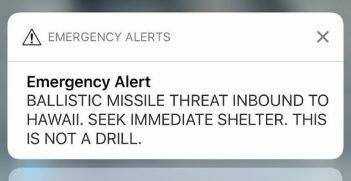 This week's false ballistic missile warning in Hawaii gave the world its first glance of what the first 38 minutes of nuclear war might feel like as political tensions turned to real-life panic. As time ticks away, can catastrophe be averted? World leaders have a solemn duty to prevent a nuclear catastrophe from re-occurring. How do we make progress and what role can Australia play?